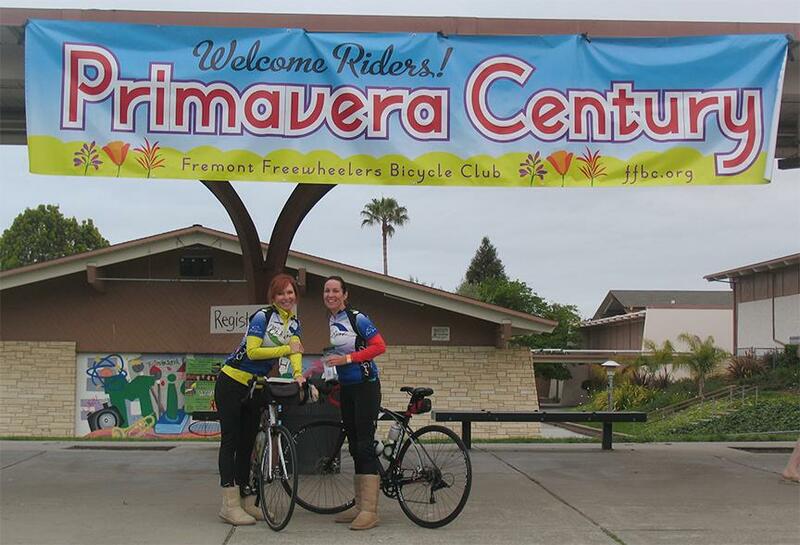 The ride starts from Mission San Jose High School and proceeds through the Mission San Jose District of Fremont. Fremont was incorporated in 1956 from the towns of Niles, Mission San Jose, Irvington, Centerville, and Warm Springs. You will exit right from the school onto Palm Avenue and past the former site of 4 Winds Nursery, home to true dwarf citrus. After going through some residential roads in the Mission San Jose District to avoid a freeway interchange, you will turn right on Mission Blvd. Very quickly you will see Mission San Jose on your left. Mission San Jose was founded in 1797. It is the fourteenth of the 21 Spanish Missions in Alta California. The mission church was destroyed in the earthquake of 1868 and was rebuilt last century. The building just past the church is original and is the oldest building in Alameda County. At the height of the mission, there were over 100 buildings with 12,000 cattle, and an equal number of horses and sheep. It was considered the most prosperous mission in Northern California. Past the mission buildings on the left, in front of Ohlone College, are rows of olive trees planted by the missionaries over 200 years ago. 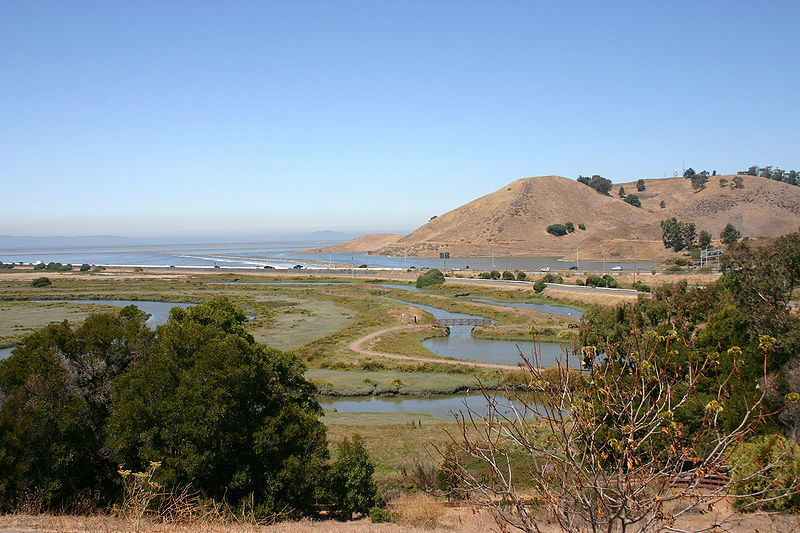 The Ohlone Indians were the original residents of the area. The ride continues along Mission Blvd and towards the Warm Springs district for about 3 miles. The road before the left turn is Stanford Lane. Originally, Leland Stanford had vineyards in the area. Through much of the 20th century, the Weibel Winery was on Stanford Lane. They were probably best known for their champagnes. Now, large custom houses occupy the property. A left turn on Paseo Padre and a short uphill reveals the best view (and only view facing forward) of the Bay on the ride. It is worth a quick stop. After that, it is a fast downhill through a signal and left onto Warm Springs Blvd. The signal onto Paseo Padre and the signal onto Warm Springs Boulevard are sensitive enough to be activated by bicycles. Warm Springs Blvd is about a 1% downhill that is nice and straight. This is when you want to be in a paceline for a few miles of easy pedaling. Just watch for a couple of bumps due to tree roots. Then it is left on Scott Creek Road and a gentle to medium uphill. Under the freeway then right on Park Victoria for a few more feet of uphill and another nice gentle downhill for some more paceline work. As the road starts downhill, there is a park on the left (Jose Higuera Adobe Park) with bathrooms for those who can’t wait another 4 miles. After some rollers, it is left on Evans for some more rollers and left onto Calaveras Road for the first major climb of the ride. It is 3 miles and 1000 feet of climbing to the top of “the Wall”. The wall is a short section of 17% grade. The Tour of California has gone both down and up the wall as the route has varied over the years. Just remember as you are either working your lowest gear, or pushing your bike, the pros went up at 16 to 18 miles an hour. But before tackling the wall, a break with most of the climb behind you is in order at the first rest stop at Ed Levin Park. Breakfast breads and cookies are always a favorite at this rest stop. 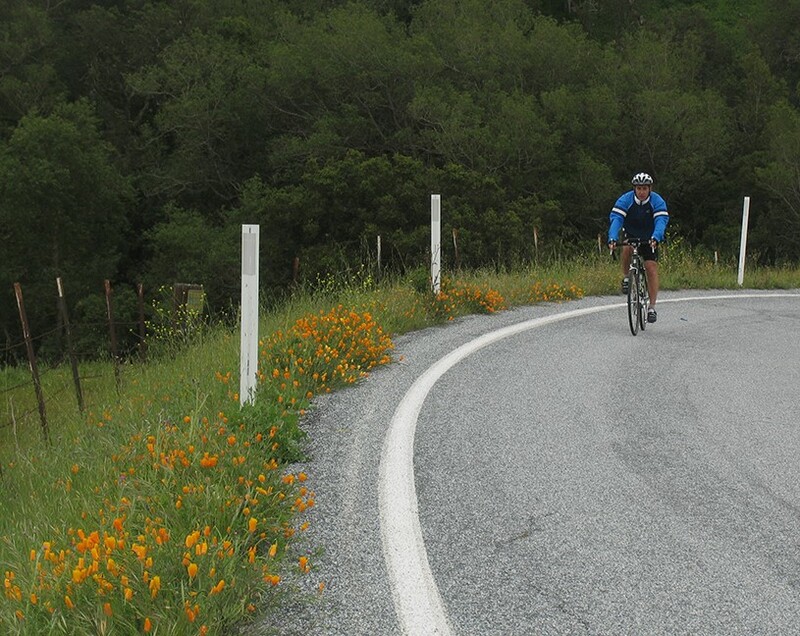 Many people start off the ride with just one water bottle so they don’t have to carry extra weight up Calaveras Road. We have bags to drop clothes at the first three rest stops. Just put those extra layers in a bag with your name, rider number, and cell phone number on it. At the base of The Wall, you will need to pass through a police checkpoint. You must have your bike number visable on your handlebars. This year, the road will be open only to Primavera riders. The road has been recently chip-sealed, and because there has been no traffic over the road, there is still a lot of loose gravel, so slow down and enjoy the green hills and wildflowers. Calaveras Road winds its way around Calaveras Reservoir. In addition to sweeping views of the lake and dam, there is plentiful wildlife. 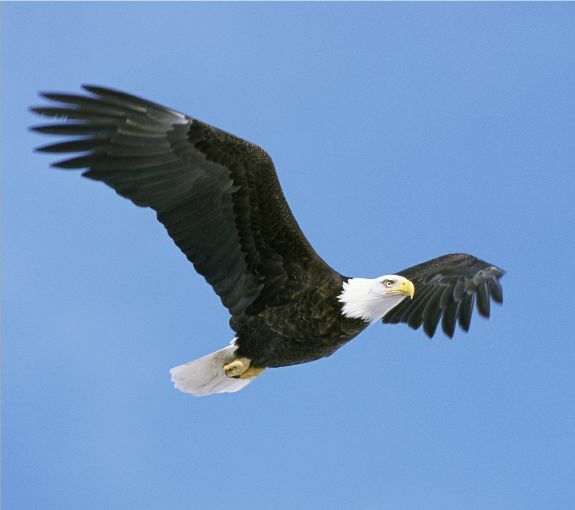 You may see bald eagles, red tailed hawks and golden eagles roaming the skies. The reservoir was the largest earth filled dam in the world when it was constructed in 1925 as a water supply for the San Francisco. The dam is being replaced for seismic concerns with the Calaveras Fault being near. It is a major undertaking and is also worth a picture or two. After leaving sight of the reservoir, you approach a summit and a long fun downhill then some very gentle rollers. This is another good section for pacelines and enjoying the views. Many nurseries are located along the valley, along with a couple of aggregate plants to mine the gravels in the valley. Then it is under the freeway and into Sunol. 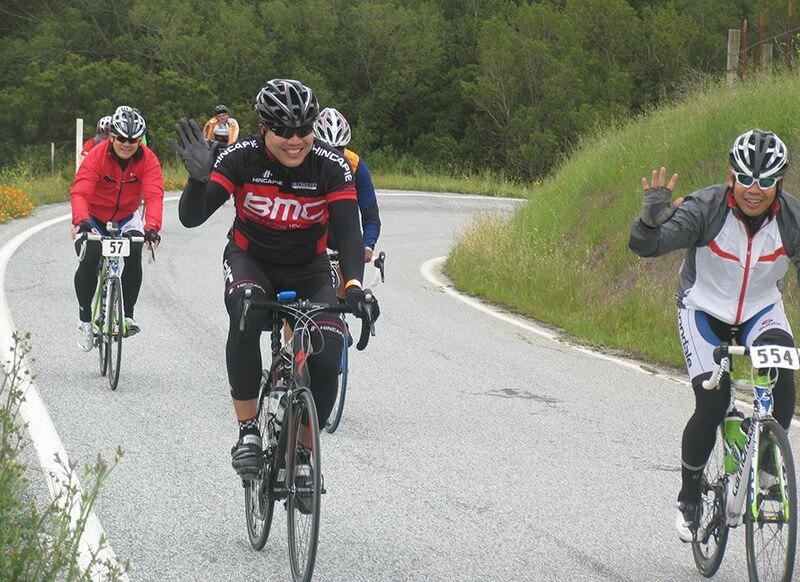 The Tour of California route went up the freeway off ramp the wrong way to get to Livermore. The Primavera is not doing that. There is one more sight before turning into Sunol. At the stop sign, take a look to the left and see the Sunol Water Temple. This 1910 temple, at a mixing point of three water sources and the twin temple at Crystal Springs Reservoir are the symbol of the Hetch Hetchy Water system of the San Francisco. 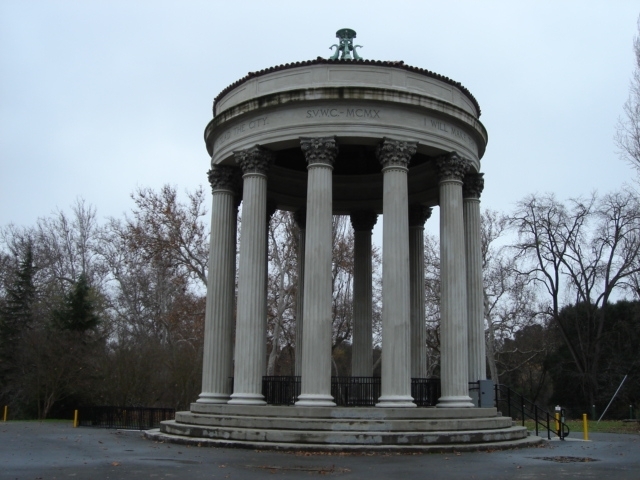 The temple is modeled after the ancient Temple of Vesta in Tivoli Italy (Tivoli is where much of the waters that fed Rome converged in the foothills of the Apennines). Unfortunately, the grounds and Temple are only open weekdays 9 to 3. 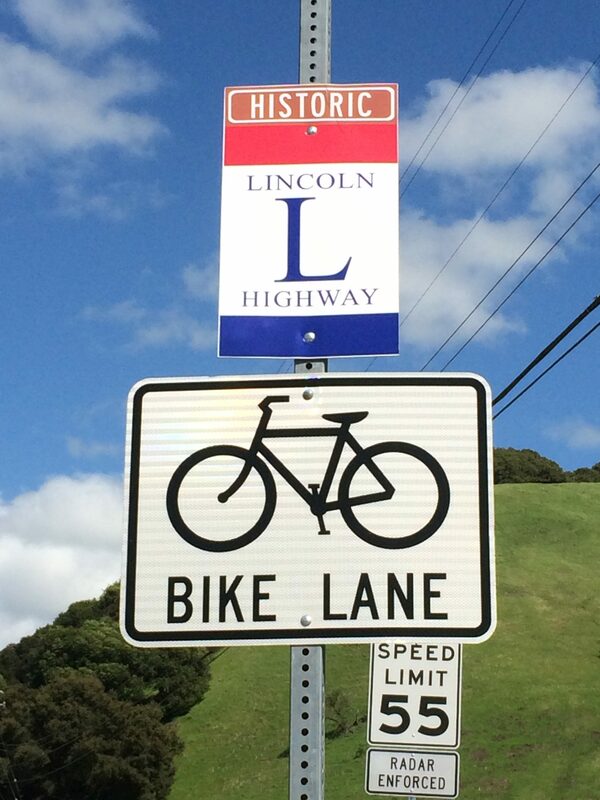 The stop sign is Scott Corner and a favorite for cyclists, but go another ¼ mile to a right turn into Sunol School. 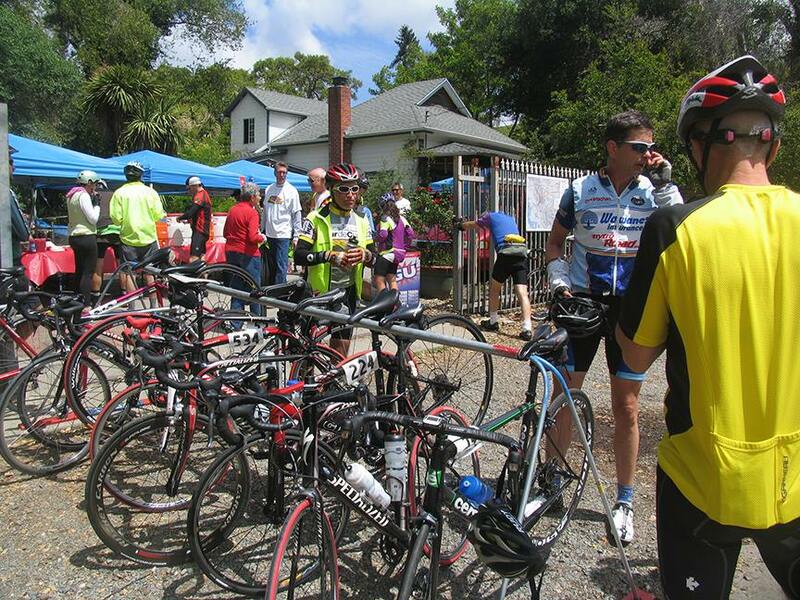 Sunol School is site of the second rest stop. This rest stop crew always does a theme with costumes and music. No one knows what it will be this year, or at least they are not letting anyone know. Niles is also famous for having a dog (Bosco the Dog) elected mayor. 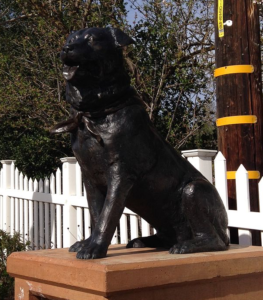 On exiting the rest stop onto main street, the dog’s statue is on the right. The route turns right just before the train station. 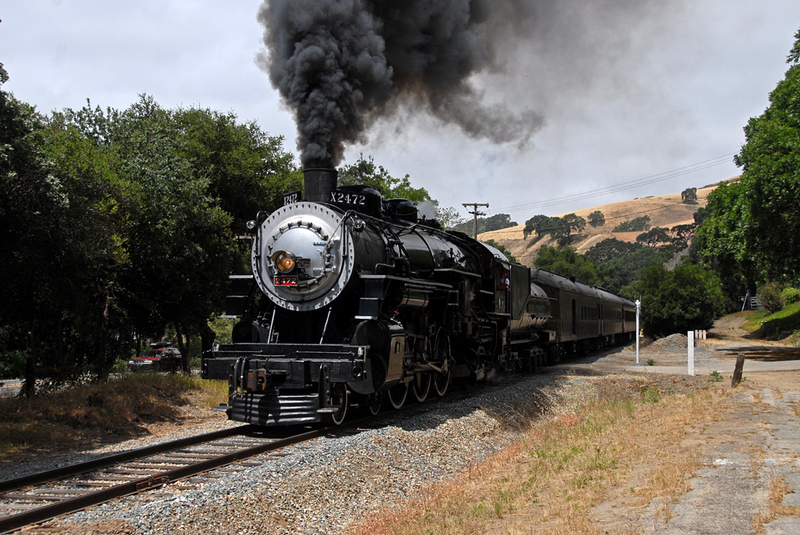 Niles Canyon Railway , which traces its history back to the first transcontinental railroad in 1866, runs vintage trains from Niles to Sunol and back on many Sundays, including the day of the Primavera. They are running steam trains along the historic route on the Primavera day. 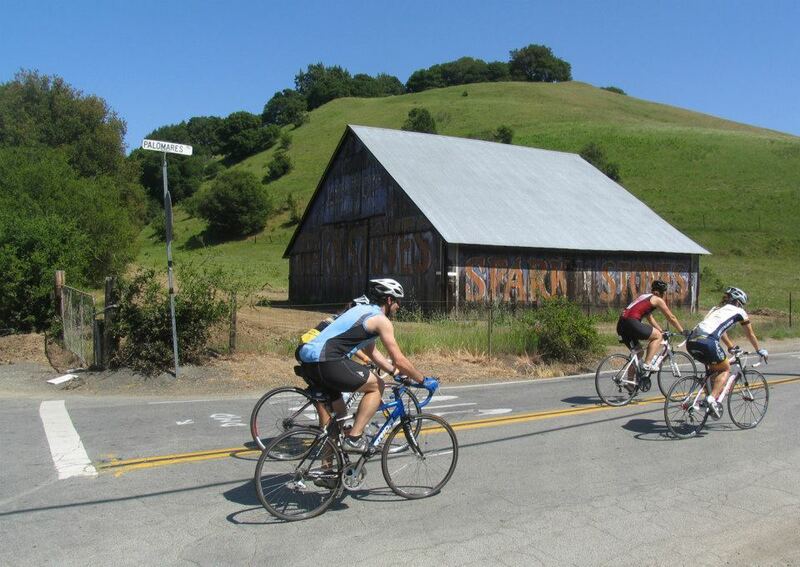 It is two quick turns at the Sunol Train Station and onto the lovely Foothill Road. After a couple of rollers, it is good to be in pacelines on the tree shrouded street with some beautiful houses. 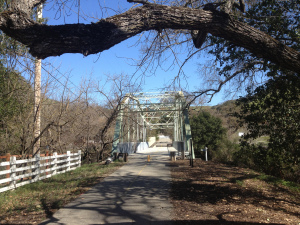 There is a turn on Foothill directing cyclists across Verona Bridge, an old iron bridge that once carried 50 guests a weekend to Hearst’s Hacienda del Pozo de Verona, is now a popular spot for bicyclists, nature lovers and pedestrians. After turning left on Pleasanton Sunol Rd, it is a right turn onto Happy Valley to wind through the oaks on a quiet lane before connecting with Sunol Blvd. 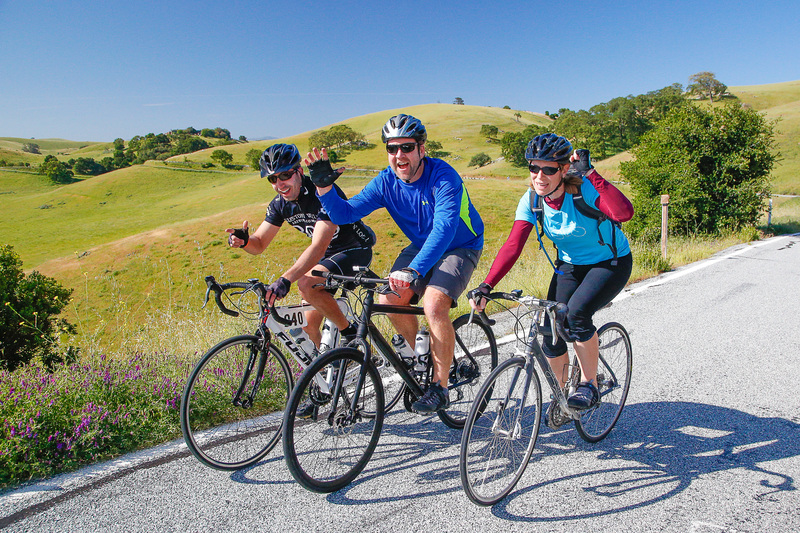 While the 100K rides are routed back to Foothill Road, the 100 (and 85) milers make a right onto Sunol Blvd, skirting Pleasanton and right onto Vineyard Drive for some more smooth roads into Livermore. The route travels through vineyards south and west of the town of Livermore and to the rest stop at Rios Lovell Winery. The winery has a wonderful view and good shade. You may want to stop in and try their wines some time, especially the port. After a nice rest and needed nourishment it’s east on Tesla Road and left on Cross Road. Be careful of traffic making the left. It is OK to stop and look back and forward before turning left on Cross. Cross leads to Patterson Pass Road, two roads that have seen several Tour of California rides. Then it is right onto South Flynn, which becomes North Flynn and a little more climbing past wind turbines leading to the Altamont Pass over the freeway at its highest point onto Carrol Road. Just after the summit on North Flynn, you are picking up speed, but there is a sharp left turn, so watch for it and reduce your speed. Also, make a full stop at the end of Carrol and look both ways, as cars do not stop. These lonely roads offer great riding, even if there are 700 feet of climbing involved. By then you’ve worked up a good appetite and it is mostly downhill to another stop at the winery and more nourishment. For those 85 milers who want more than the 100K and less than the 100 mile, skipping Altamont is an option, but it is a nice route. From the winery (the second time) it is through Livermore with a left on Holmes to get back to Vineyard. This is a change from previous years, due to the construction on Isabel (84). It is back Vineyard on Arroyo back to Pleasanton. Once in the north part of Pleasanton, it is more tree lined roads and parks (with bathrooms) to Foothill to rejoin the 100K route. A left on Dublin Canyon Road and it is up and over the Dublin Grade. In the afternoon, the breeze comes off the bay and pacelines and riding in groups help to break the wind. The road over Dublin Grade, as well as Palo Verde, was part of the original Lincoln Highway, the first transcontinental highway, starting in Times Square and finishing at Land’s End (Lincoln Park) in San Francisco. It is then downhill to the Palo Verde Rest Stop for some more nourishment. You will see the roosters walking around the rest stop. It is time to fuel up and get some sugar in you for the last hill of the day. It is exactly 5 miles to the top, followed by 5 miles of downhill. The mileage signs help you pace yourself. Mile ten is at the bottom and mile marker five is at the top, so you know how far you have to go. The markers decrease in miles until 5, but the steepness increases. It really is a pretty road and enjoying the beauty makes one forget about the slight uphill, at least for the first four miles. An easy uphill turns into a steep uphill the last half mile, with the last quarter mile being the steepest. Fortunately, the redwood trees shade the road and make the last half mile bearable. Then it is 5 miles of downhill, past a couple more wineries, to Niles Canyon. Note that the speed limit on Palomares on the downhill is 25 mph. Keeping a safe speed only adds few seconds to your ride and you get a little longer to enjoy it and avoid a ticket. Then it is onto Niles Canyon. Niles Canyon is definitely a single file zone with passing only where the shoulder widens. Alameda Creek runs down the canyon and projects are in place to promote steelhead trout in this area which used to be a weekend retreat accessible by rail from San Francisco in the first half of last century. 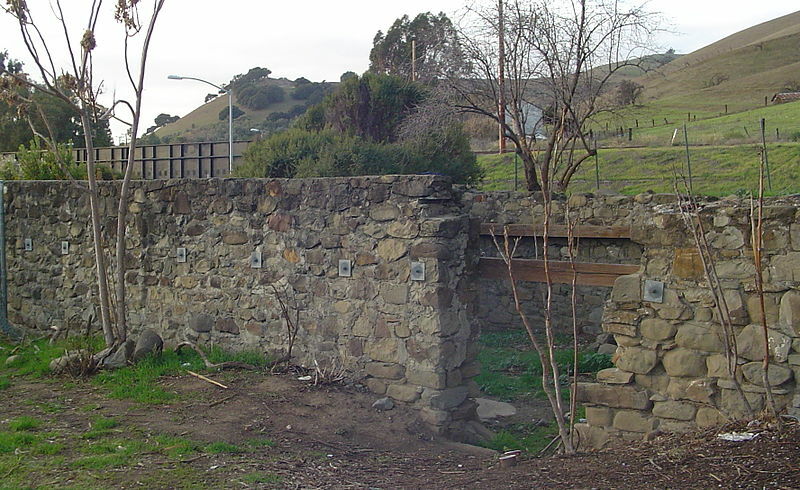 Niles Canyon Road runs past the site of the Vallejo’s Grist Mill. Niles was established in the 1850’s and was a junction point of the Southern Pacific Railroad lines from Oakland to San Jose and southern coastal points. Vallejo’s Mill was the first flourishing flour mill constructed and completed in this country. It was run by water conducted in a long flume from Alameda Creek. Niles at one time was noted for the location of the California Nursery, the largest nursery in California, with the largest rose plantation in the state. 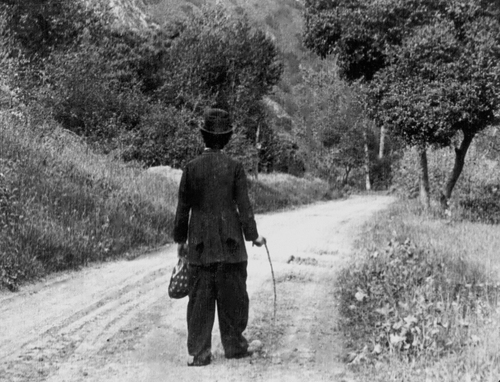 In 1912, Essanay Studios was at the height of its movie making fame. The studio, owned by Bronco Billy, made famous movies of the time starring Charlie Chaplin, Wallace Beery and Ben Turpin. Many cowboy adventures were filmed through Niles Canyon and along the main streets of Niles. Hollywood, because of more days of sunshine, became more popular. All riders go left onto Mission Blvd, but if you want a small detour you can go straight and see downtown Niles. 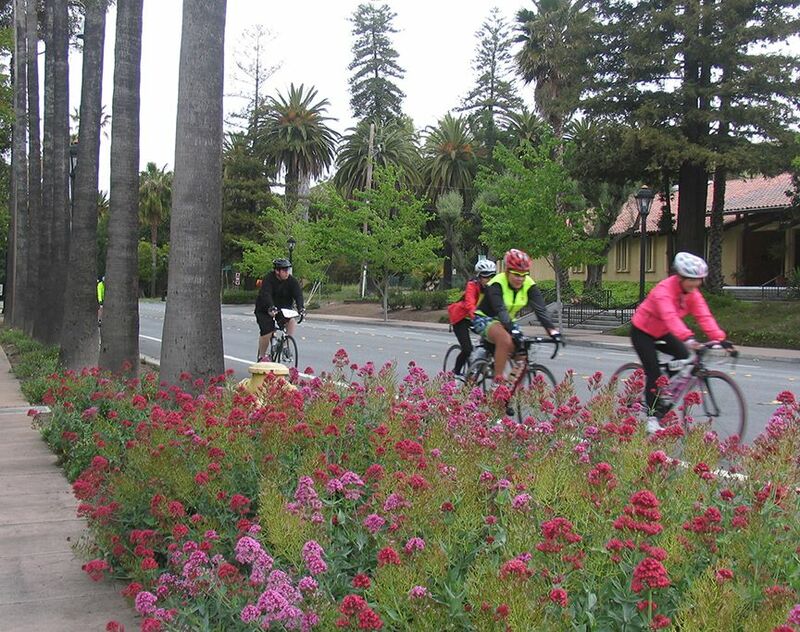 All the routes, including the Fun ride, join up on Mission Blvd. The rides go straight up Mission Blvd with a nice view of Mission Peak. Typically there is a tailwind in the afternoon. A nice warm meal awaits the victorious riders. The 25 mile Fun Riders follow north on Paseo Padre Parkway from Palm Avenue, via Olive Avenue. 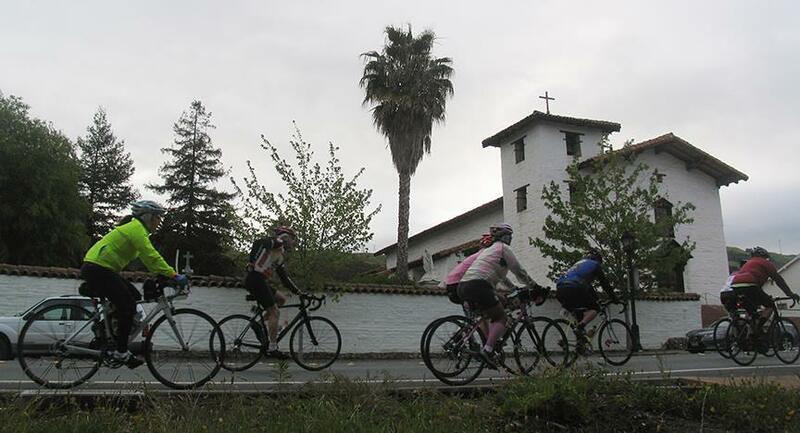 They follow Paseo Padre through Fremont, past the Central Park and to Coyote Hills Regional Park and a rest stop. They then get an option of cycling all the way to the edge of the bay for a view of San Francisco and a lot of wildlife. It is then along the bike path along Alameda Creek Trail to a second well stocked rest stop. The route continues to the end of the trail at the mouth of Niles Canyon. A restroom and a water stop await the riders at the end of the trail. The route winds through some quiet neighborhoods and a left turn onto Mission Blvd back to the high school and a delicious hot meal.